Like everything in life, there is an ending. In the Decline Stage of the product life cycle, eventually sales begin to decline as the market becomes saturated, the product becomes technologically obsolete, or customer tastes change. If the product has developed brand loyalty, the profitability may be maintained longer. You may also discontinue the product, liquidating remaining inventory or selling it to another firm that is willing to continue the product. Unit costs may increase with the declining production volumes and eventually no more profit can be made. There is intense price-cutting and many more products are withdrawn from the market. Profits can be improved by reducing marketing spend and cost cutting. Every firm in the cosmetics industry has the similar product as yours. It has obtained some loyal customers thats why you have continued to produce the lipstick even though there is increase in production cost. Smoothe, another cosmetic company, is about to introduce an eye shadow-lipstick that changes color with a higher SPF and a moisturizer with Vitamin E.
There are three things you can do: 1) Continue to produce the lipstick for your loyal customers; 2) Add new features to the lipstick to rejuvenate it or 3) Sell the lipstick to another firm that will continue to produce it. What would you do? p.s. The product doesn’t have to die, just be aware of what is going on and move faster than your competition. Or you may sell off that product line and go into something else just as the decline starts. At this point, market saturation is reached and prices tend to drop due to the proliferation of competing products. It is important to maintain or increase market share at this stage of the life cycle through brand differentiation and feature diversification (how can you be different in a way that the end use consumer cares). Maybe some features like this picture? Now, let’s use the same product from the last blog entry about Product Life Cycle: the lipstick that is both a moisturizer and sunscreen that changes color depending on the wearer’s body temperature. 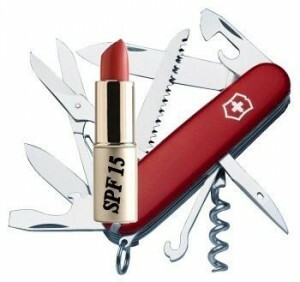 The lipstick is in every woman’s purse and becomes a household name. 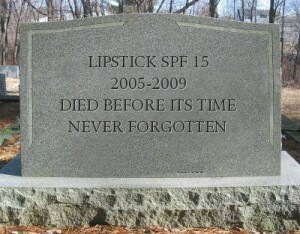 All major cosmetic companies are about to start or have started to introduce similar lipsticks. And this has prompted you to further drop the price to keep your customers and attract even more. To keep customers loyal to your brand/product you add new features to the lipstick like being waterproof or bundling the lipstick with matching eye shadow or blush. Is all this enough? In the Growth Stage of the product life cycle the market is aware of the product you have introduced. Now sales have the potential to significantly increase and profitability will begin to rise. This is the result of economies of scale – the reduction in cost per unit resulting from increased production, realized through operational efficiencies. Your advertising and distribution channels have paid off! More consumers are aware of your product in the market and competition is on the rise. Other manufacturers will think of a product that will compete with yours and this will result in a price decrease. Picture this, say you came up with a lipstick that is both a moisturizer and a sunscreen that changes color when you change body temperature – when you feel hot your lips will turn hot red and if you feel chilly it turns into neutral pink. You gave samples at Target, WalMart and other stores for customers to try. Anita Wantaproduct, editor-in-chief of American Fashion picked your product as the new “IT” thing of the season. Because of the feature article in American Fashion, people will become aware about the lipstick and everybody (well at least the women) will want to have one or two for each purse. Lancome and Maybelline came out with a similar lipstick but in a different shade. This may prompt you to reduce your price from the original $10 each to $8.95. What do you think will happen next? Will it continue to rise and be an item in every woman’s purse? Or will it be just another ordinary lipstick? p.s. I don’t think they should directly compete with the other products and lower their price, but that can be discussed later. In the Introduction Stage of the product life cycle, you can expect that the cost of creating and advertising a product will be high; sales and profit will be low. Also in this stage, other manufacturers will wait and see if the product being introduced in the market will create demand that will ensure profit. For product awareness to pick up, the manufacturer should advertise the product using print, video and audio advertising, along with multiple channels of distribution. They can also spread the word by giving out samples of the products (think of sample booths at Costco or Sam’s Club). 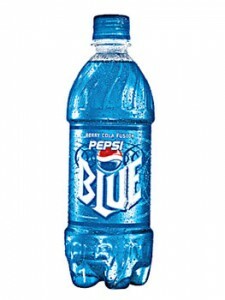 Pepsi Blue was launched in the mid2002 and discontinued in 2004. Even with the heavy publicity by Britney Spears and the bands SEV and Papa Roach, it failed to be a household mainstay. Cherry Coke on the other hand, is the first flavored Coke introduced by Pink Floyd to a test audience at the 1982 World’s Fair. 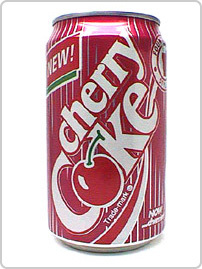 Cherry Coke is available in most of Europe, New Zealand and Japan. I was fighting it for awhile and then decided to give in! What good can Twitter do for you? For one thing it can bring you links to your blog, which brings in more visitors. It can also get your name out to more people: repeat views brings familiarity and can help with low level relationship building and trust. Then send me your 140 characters of welcome.